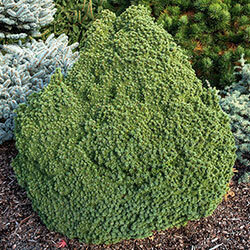 Named after its great shape, Humpty Dumpty Blue Spruce forms a sort of stout, rounded cone. It's very densely packed with needles. It also grows slowly, needing hardly any pruning to keep this lovely shape and manageable size. 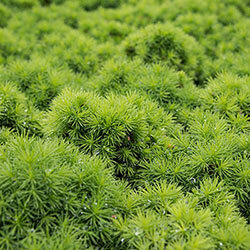 Use it in rock gardens, patio containers or small spaces.